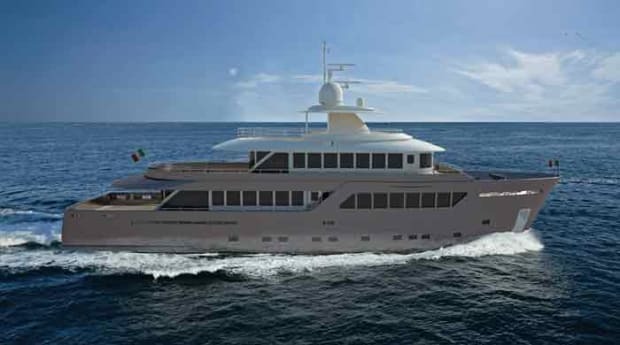 When Roberto Zambrini was named CEO at the beginning of 2012, the yard’s owners and new management decided to step into the future with a few projects that should represent a turning point in the shipyard’s tradition. 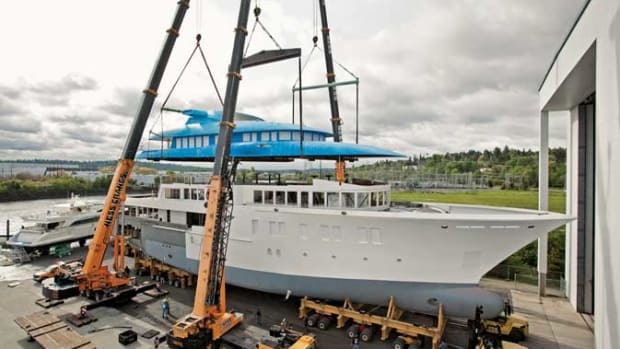 Italian yachtbuilder Mondo Marine, based in Savona on Italy’s northern coast, recently delivered a number of interesting custom and semi-custom yachts such as the 161-foot (49-meter) Alexander Again by architect Giorgio Vafiadis with an interior by Luca Dini; the 133-foot (41-meter) Manifiq with exterior by Cor D. Rover and interior by Luca Dini; and the 133-foot Okko, with exterior and interior by Giorgio Vafiadis, which debuted at the Monaco Yacht Show this fall. 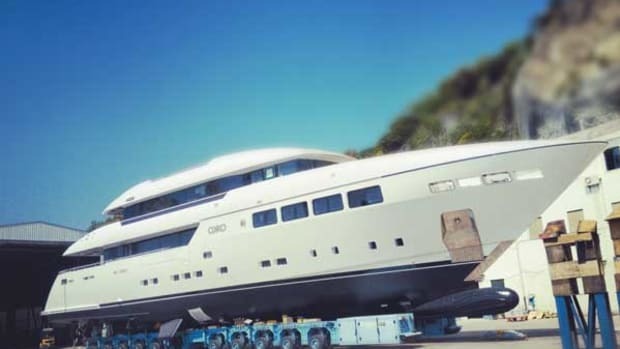 To accomplish this challenge, Mondo Marine appointed the young but already respected Hot Lab Yacht & Design studio to develop an innovative 164-foot (50-meter) semi-displacement project named M50. 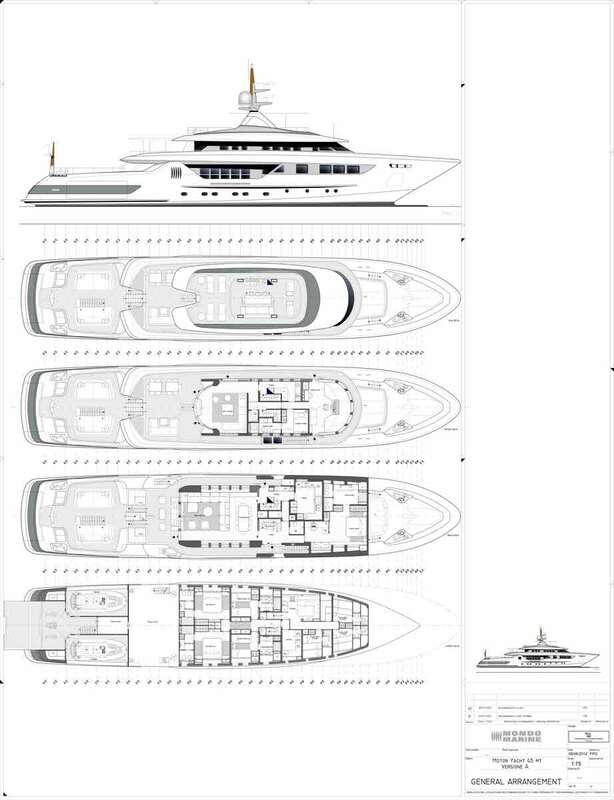 The three designers, Michele Dragoni, Enrico Lumini and Antonio Romano, delivered an interesting project boasting a muscular exterior look and strong personality with imaginatively positioned windows on the lower deck that visually break up the high, powerful bulwarks. One of M50’s most striking features is the large lounging area positioned forward on the main deck where a pair of U-shaped sofas create a perfect spot to relax or dine en plein air. Other large outdoor social areas are located on all decks with the sun deck offering a large Jacuzzi. The fold-down swim platform with adjacent beach club offers close contact with the sea. 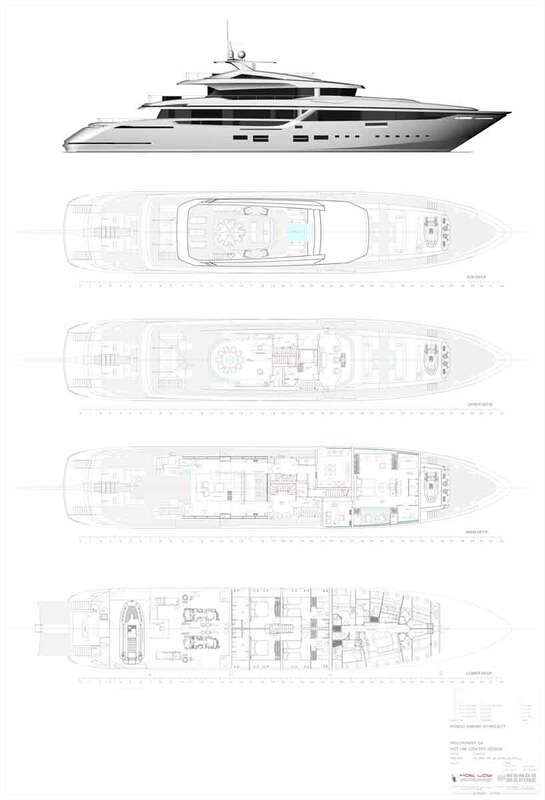 M50’s overall image is of fast motion and seaworthiness. The yacht displays a well-proportioned volume with exterior and interior spaces offering comfortable living areas. Automotive-like features and details, typical of the Hot Lab style (all three designers have a background in the automotive industry), enhance M50’s sporty touch. 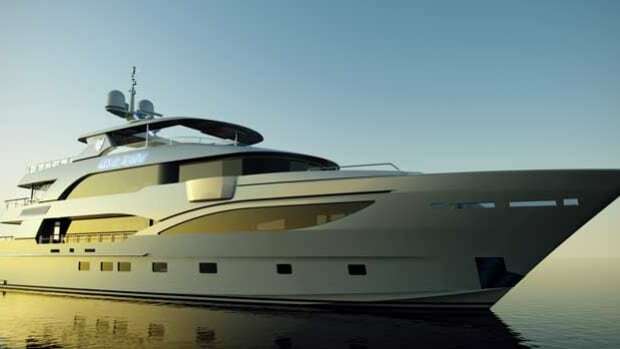 To further diversify its production, Mondo Marine asked another renowned Italian designer Francesco Paszkowski to create a fast semi-displacement yacht. The result of this collaboration is the M45 Blade, a yacht with an exterior design that blends traditional and contemporary features. Sturdy, compact and encompassing generous interior volumes, this 148-foot (45-meter) yacht has a large aft deck with plenty of space for sunbathing and outdoor relaxation. A central staircase leads from the cockpit to the upper deck where a shaded terrace hosts a comfortable exterior lounging/dining area. From there an additional light staircase climbs up to a panoramic sun deck. 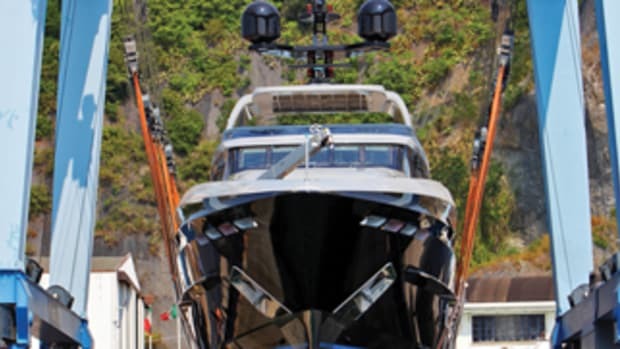 No information about the interiors has been released yet, but Paszkowski’s signature style lets us imagine that they will feature the same contemporary, sophisticated touch we have appreciated on many of the Florentine designer’s interiors, such as those on board Papi du Papi (the 164-foot ISA on Yachts International’s September cover), the Sanlorenzo 44 Steel series, the SL94 series and a great number of Baglietto yachts, to name only a few. The interior layout features a traditional configuration with a main salon including lounging and dining areas followed by a large service area with pantry and galley at port. The owner’s suite is on the main deck forward and four guest cabins are located amidships on the lower deck. The upper deck’s skylounge is connected to a wide aft terrace and forward is the captain’s quarters (a large wheelhouse and roomy cabin). Back on the lower level, two separate garages with foldable doors host two tenders, leaving plenty of space for a large beach club. With an innovative hull, patented by Arrabito Naval Architects, the yacht will have great efficiency and low fuel consumption. 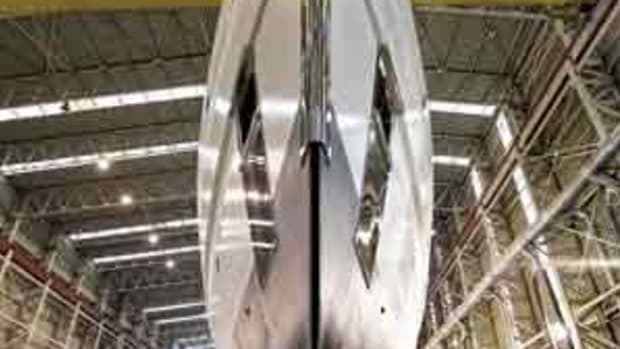 The shipyard has also improved its steel-aluminum explorer-like series with naval architecture and design by Sergio Cutolo of Hydro Tec. 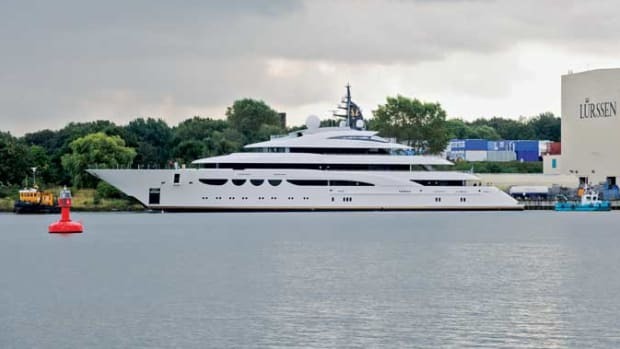 The first in this line is the Mondo45 (featured in our November 2011 issue of Yachts International). Two more models—a 35-meter and a 56-meter—share the same design concept based on the research of maximum functionality and comfort. 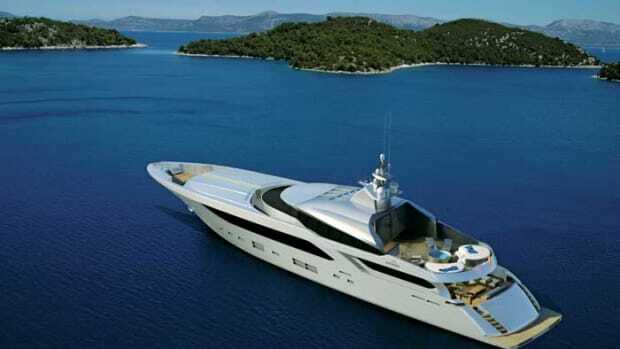 These yachts are built to grant long cruises to owners who wish to safely explore the seven seas. The Mondo45 Explorer features a strong, powerful hull with high bulwarks and bow to face the heaviest seas. A large stern, reminiscent of a military ship, opens into an extremely wide swim platform easily reachable from the aft main deck via a central staircase. 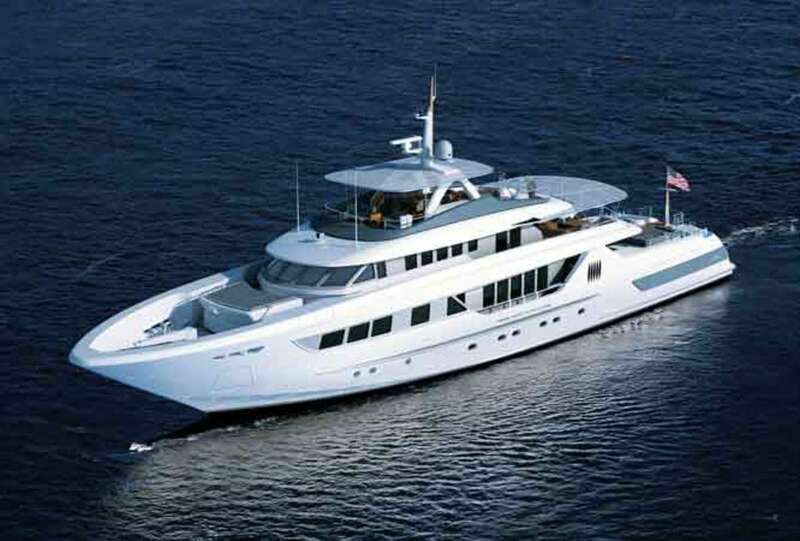 Stretching out over four decks, the Mondo45 accommodates 10 guests in five comfortable cabins, the owner’s stateroom being on the main deck and four guest cabins on the lower deck. The hull was developed in cooperation with the Krylov Institute of St. Petersburg using advanced CFD methods and careful tank testing. 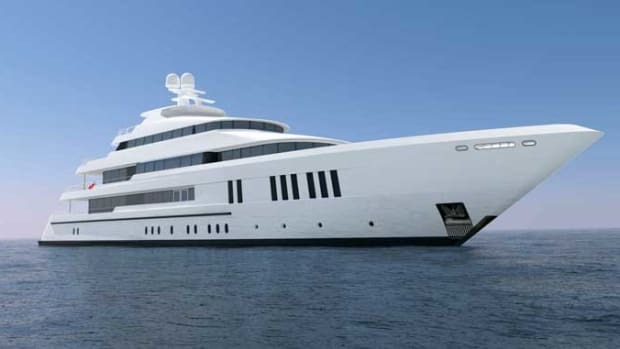 The result is a hull that offers a top speed of 15 knots, an extended range of around 6,000 nautical miles and will have the RINA Green Star notation. 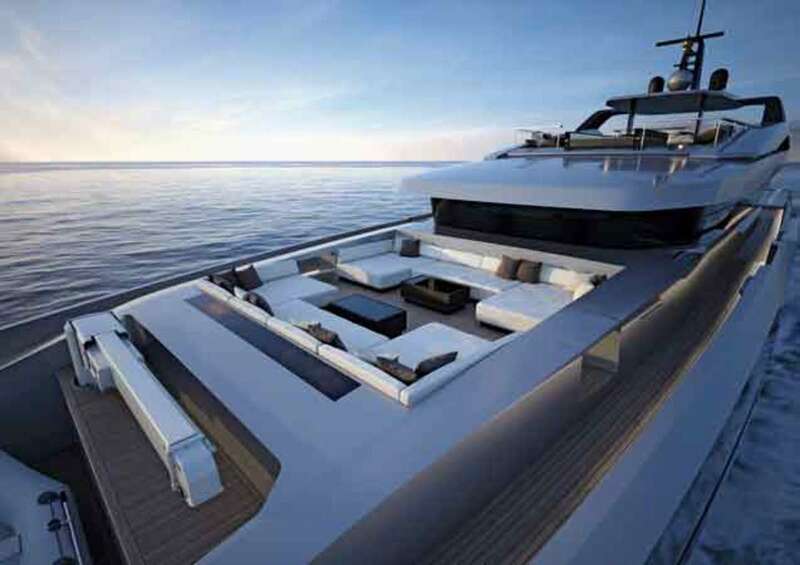 For more information, visit mondomarine.it.